Rangers signed Arfield on a free from Burnley last summer. The 30-year-old was one of the first players to join the Steven Gerrard revolution at Ibrox, and he’s played a key role this season. He’s bagged 10 goals in 24 Scottish Premiership starts so far to help Gerrard’s side close the gap to bitter rivals Celtic. But the midfield ace could be set for a swift return to English football. 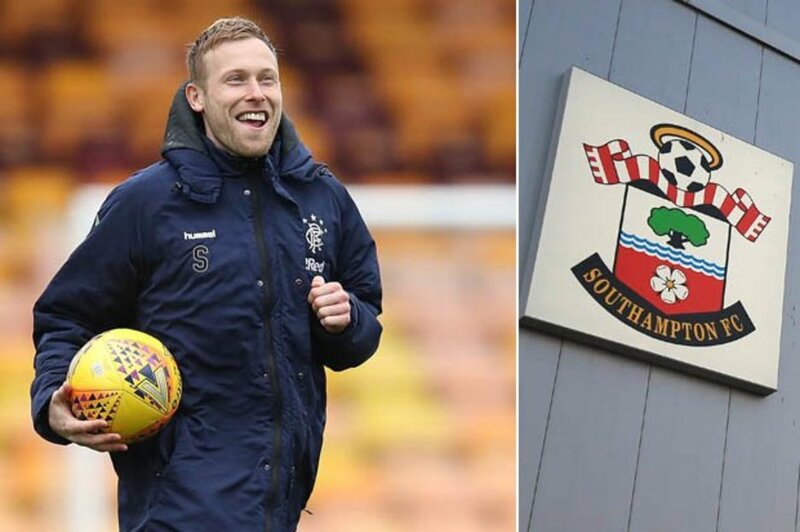 The Daily Mail report Southampton want to revitalise their squad with British players this summer – and Arfield is wanted on board. Director of Football Ross Wilson is keen to change their transfer approach – and that is bad news for Rangers. Arfield arrived for free, but the Glasgow club could find it tricky to turn down a cash offer from the Premier League side. Rangers have already done business with Southampton this year, with Steven Davis heading back to Ibrox on loan for six-months. Gers legend Ally McCoist believes Rangers are four “top, top” players away from challenging Celtic. “And Steve and Gary (McAllister, assistant) are intelligent men, they will know that. If you want to win titles then you have to have a vastly improved level of consistency. “The next step for Rangers is definitely cup finals and a sustained title challenge. It is a massive summer for Rangers and it will be a big summer for Celtic as well.